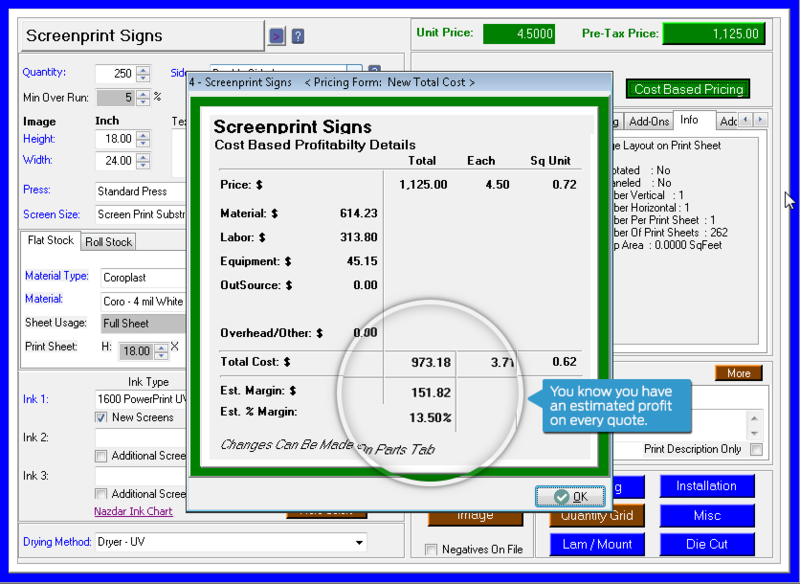 Quickly estimate, track and manage screenprinted orders. 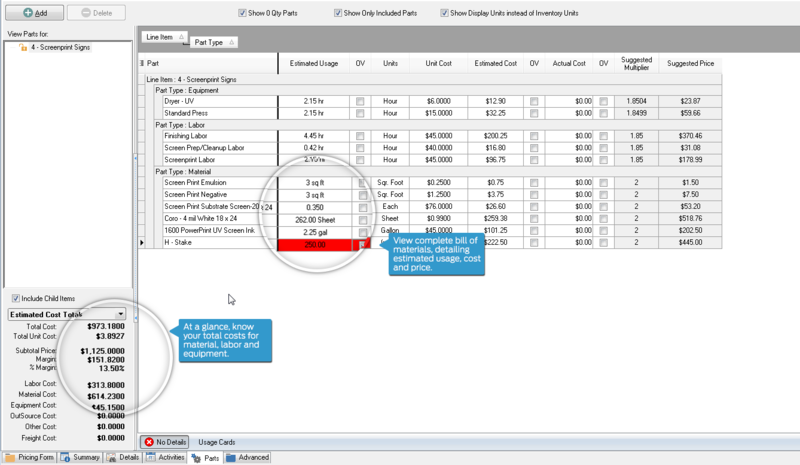 The tools screenprinting businesses need to quickly estimate and manage roll and flat stock orders. Product specific screens. Take into consideration all aspects of screenprinting. Wondering about profit? Know your estimated profit on every quote before you send it. What jobs are assigned? 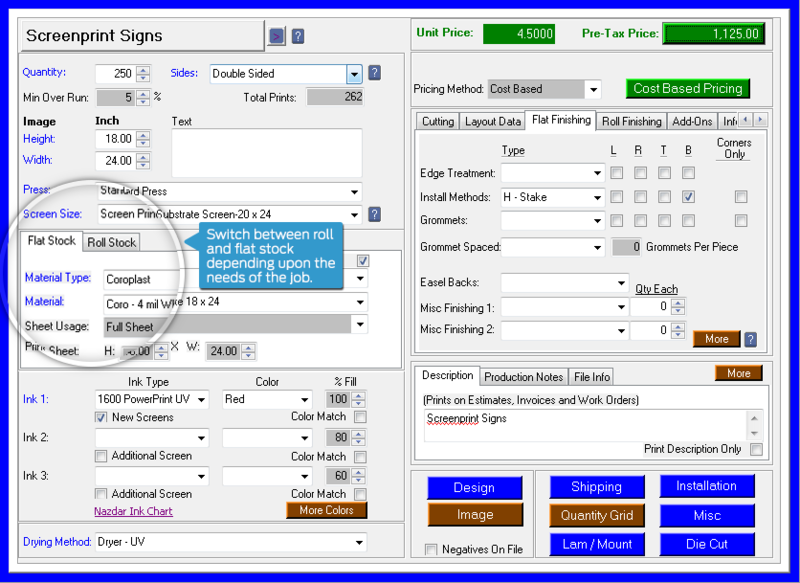 Manage production schedules for each press with a couple of clicks. Stop worrying. You'll see your estimated margin on every quote you send.